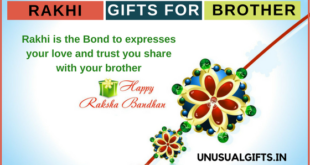 From the name of “raksha bandhan” we can assume that it means the protection of bond. It is not the bond between a father and a mother, or a girl and boy but between a brother and a sister. This bond is pure and is celebrated as raksha bandhan. There is a lot of history associated behind this bond. During those olden days, the Rishis tied rakhis to the one who came to see them and seek their blessings. 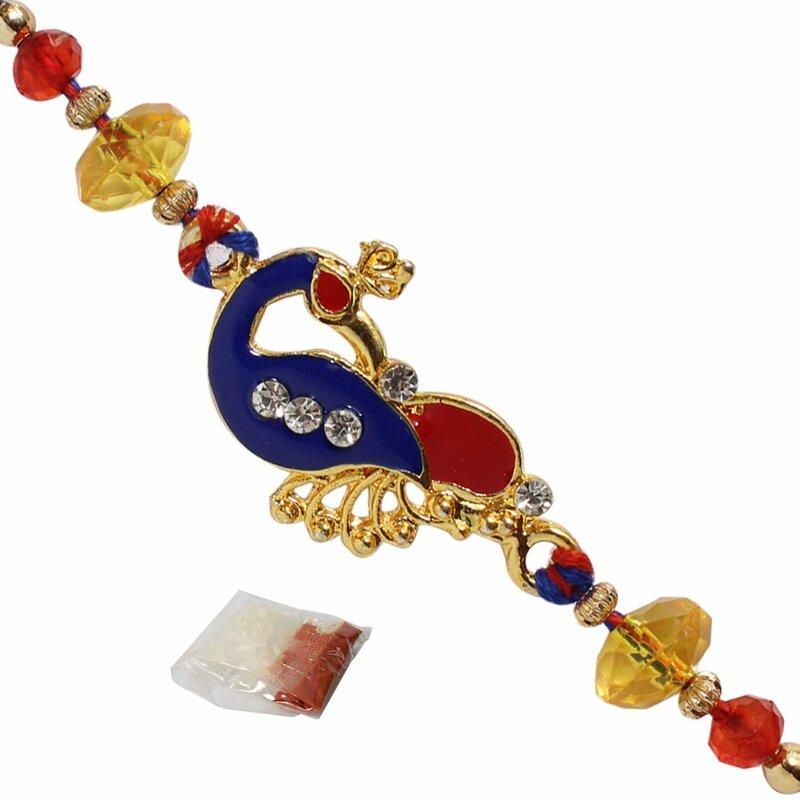 This means that Rakhis are used to safe guard oneself from the evil. This idea came when Alexander the great was given back his life by the king of Kaikeya kingdom, Porus when he saw the rakhi tied in his hand sent by Alexander’s wife. This started love and harmony between people and is still continuing till date. By the word Purnima, it means Full moon. After 15 days when we can see the full moon, this day is celebrated as the extension of Rakhi custom. Pap Nashak – This means the one who destroys the bad, evil or sin. VishTarak – One who destroys the unhealthy or venom. PunyaPradayak – One who bestows boons. 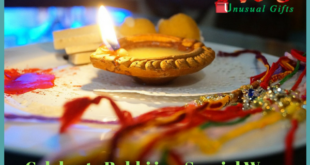 The festival rakhabandhan is considered non-religious, considered to be secular and multicultural festival. 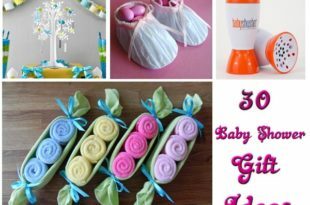 This festival is same as sibling’s day which is celebrated in the United States. Rakhis are also shared between close and friendly relation. This does not include anything about caste. RakhaBandhan 2017 is celebrated all over India and in all remote parts too. This marks the eternity and simplicity in this relationship. This festival is also celebrated in other religions like Christian, Muslim, etc. The name might be different but purpose of this festival is same for all. This is what is recited softly by a sister to her brother when she ties the knot. What happens on this day? 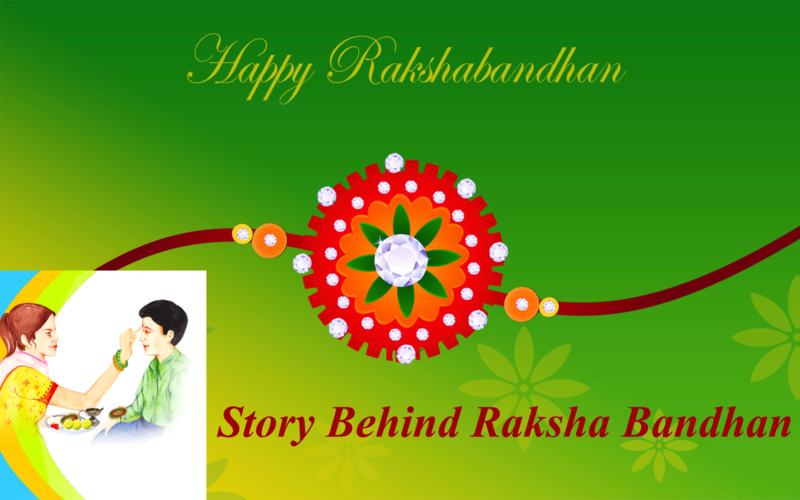 In raksha bandhan day, sisters invite their brother to come to their home. So in the early morning all brothers set out to their sister’s house in white traditional dress called Punjabi and pyjamas. They both sit facing each other and the sister ties a rakhi in her brother’s arm to protect him from evil and unnatural things. 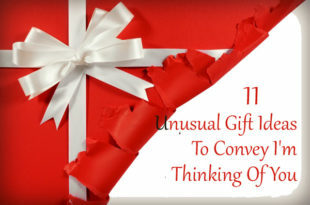 Elder one between both gives blessings and then the brothers as a token of love and affections gifts her sister. 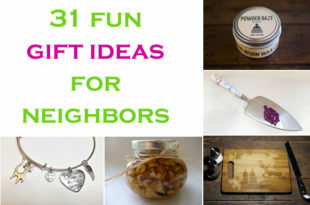 Sweet, chocolates, good food follow after. If you are confused as to which rakhi you want to gift your brother, here’s a suggestion for everyone out there. 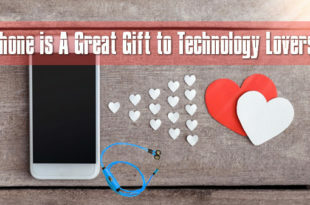 Below are two products which might help you win your hearts of your brother. 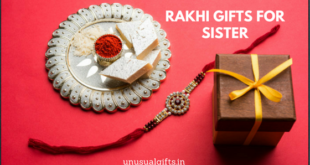 These rakhi can be sent on the day of raksha bandhan 2018. If your brother stay abroad or in a different city of the same country you can send these videos. This makes rakhis being promoted as a way of harmony of life to many philosopher and social workers. It is way in which brothers gain courage and confidence after wearing it. 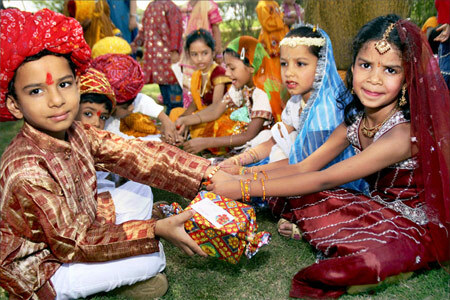 This festival also acts as a reunion of family and thus increases love and affection towards each other. This is accompanied by tasty food, music, dance and many things which Indian festivals are incomplete without.